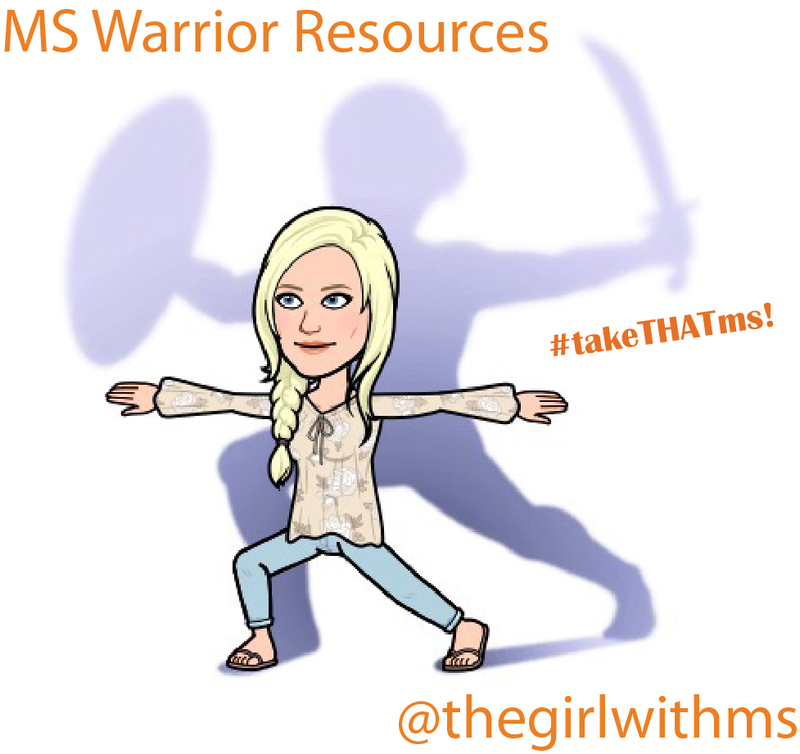 Girl with MS - Tips & Tools for Thriving with Multiple Sclerosis: Race to Erase MS, Nancy Davis, Dr Weiner: Winning! 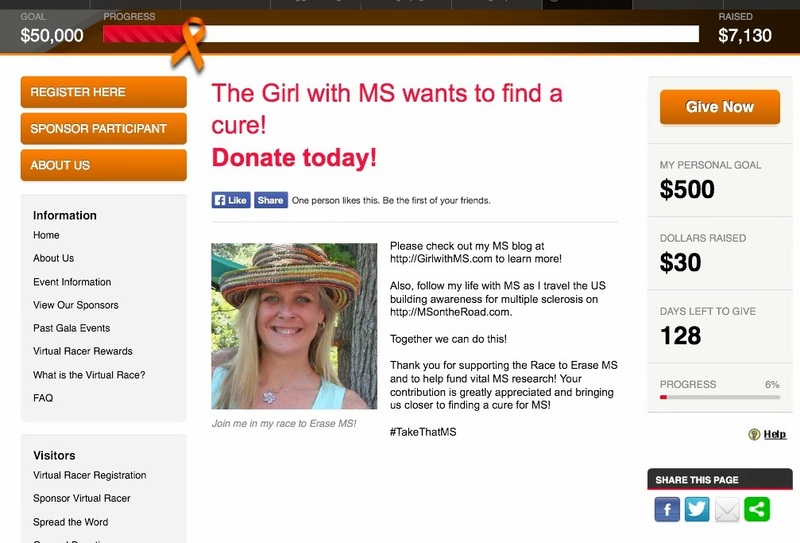 Race to Erase MS, Nancy Davis, Dr Weiner: Winning! 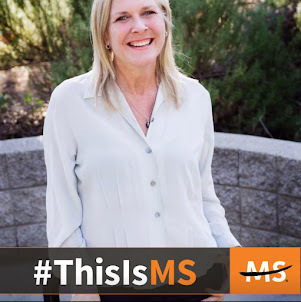 For those who don't know about Race to Erase MS, Nancy Davis and Dr. Leslie P. Weiner, well, you have a lot to learn about awesomeness in fighting multiple sclerosis. 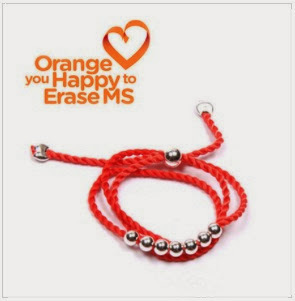 Nancy's foundation, Race to Erase MS, not only raises awareness and lots of money but she's finding answers and helping others through her Center without Walls Program. And all of this while living with MS and raising a family. First off, Nancy holds a wonderful Gala every year to raise money to find a cure for MS. I went one year and it was amazing! I highly recommend it. At $1000 per seat it's not inexpensive but a wonderful opportunity to raise funds for MS and have fun. 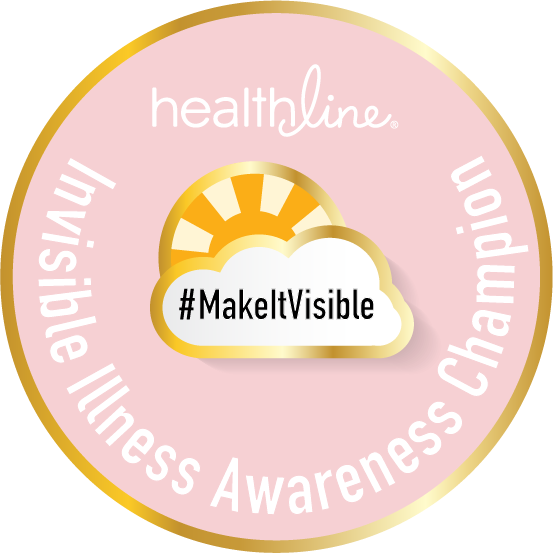 There are also ways to sponsor and support at all levels. 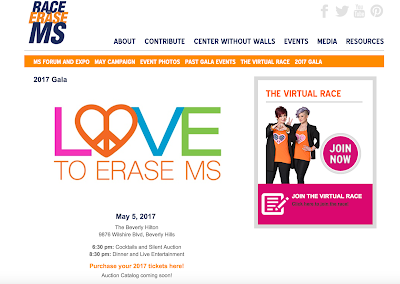 Race to Erase has also set up an easy way for individuals to raise money for fighting MS. 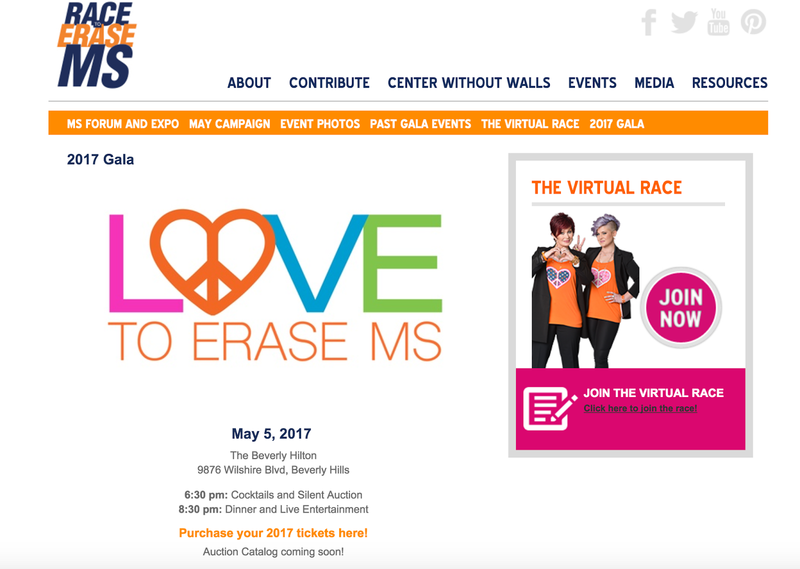 They have a program called the Virtual Race to Erase MS. 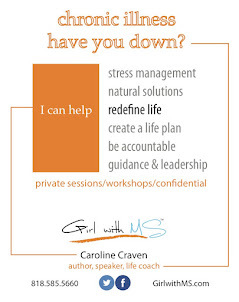 I just signed up! I've been deciding which foundation to direct my fundraising efforts from MSontheRoad and have decided on Race to Erase MS.
Click here to reach my personal fundraising page and to donate! 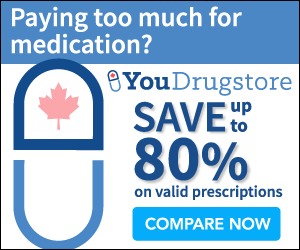 So why did I choose Race to Erase MS? Because they rock! While Nancy has the illness, energy, ideas and funds to help, she also has the smarts to surround herself with the best of the best. Now we are talking about Dr. Leslie P. Weiner from USC. I had first hand experince with Dr. Weiner back in 2001-2003 during a three-year, double-blind study for a T Cell vaccination. I got to see Dr. Weiner on a regular basis. And boy do I miss that MS intelligence. But now Dr. Weiner has a new facility with some great staff. 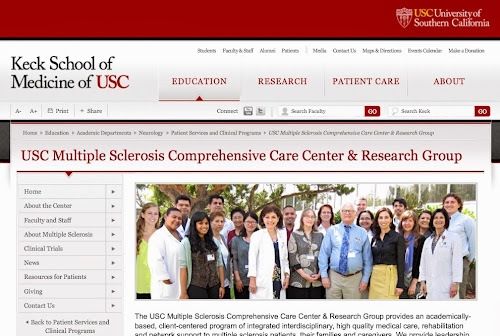 Check out the USC Multiple Sclerosis Comprehensive Care Center and Research Group. I am so stoked about this. I just spoke with Pat, the project manager at the facility. She remembers me from the USC study ten years ago! I explained my situation. How my diagnosing neurologist retired and referred me to another Doctor who after three years of seeing me told me she didn't have any of my history or medical records. She "treated" me without knowing anything about my illness. Since it was becoming a joke, her inability to treat anything since she didn't know anything, I found a new neurologist. 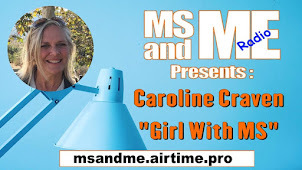 After several tests, time and money, the new doctor said he wasn't 100% sure I have MS and wanted to send me to Dr. Weiner. Talk about full circle. And why this doctor laughed at me when I asked for a jury excuse. He said I looked great. Since when does looking great mean your MS is OK? I tried to ask him a few question about my tremors, loss of right hand that day, weak legs and balance. He didn't have time. This was after waiting two hours for him! I stumbled and fell walking back to my car. While he ran a litany of tests which I will use, he clearly doesn't understand me or my MS. Frustrated beyond belief I called USC and spoke to Pat. She is getting me some answers and a new neurologist. I'm hoping to get in to see Dr Weiner if just for a consult after all of these years. He's not taking new patients but I know the others doctors there are all MS focused. We will see. Bottom line, I'm finally in good hands again! And because I wanted to, I ordered a cool bracelet to raise money for Nancy's programs. Nancy is always thinking outside the box and partnering up with some great folks. 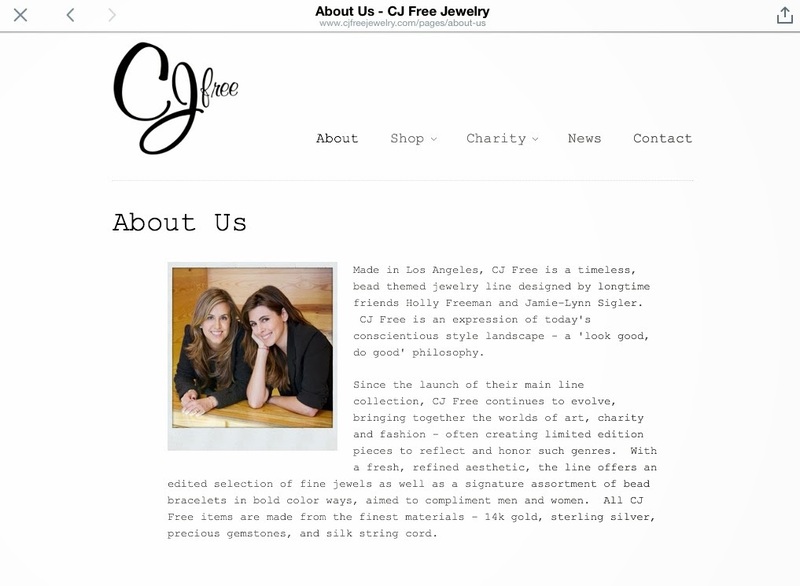 Check out this group who makes the bracelets CJ Free Jewelry. Here's to the folks at Race to Erase MS, Center without Walls, Dr. Weiner, CJ Free Jewelry and everyone fighting to find a cure for MS.